Are you the proud new owner of the stunning Wireless Audio 360? The omnidirectional speaker may already be adding beauty to your living room with its elegant and aerodynamic design. Now, it’s time to let the sound of music resonate to every corner. Do you want to access and control your music with ease? And is your smartphone always in the palm of your hands? 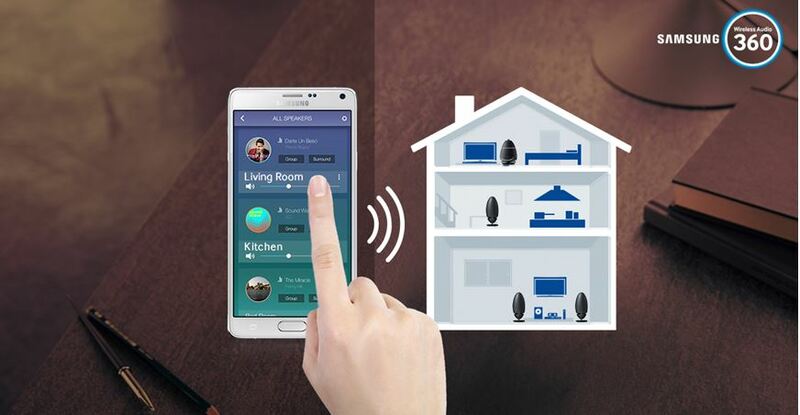 Instead of reaching for a separate remote to operate the speaker, you can control it with your smartphone. 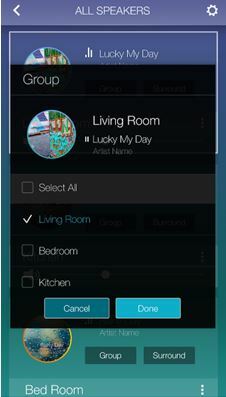 Simply download Samsung’s latest Multiroom App 2.0 and enjoy a seamless music experience. With the app’s easy interface, playing songs, changing tracks, switching music sources and adjusting volume can be done instantly and conveniently from your mobile device. Step 1. Plug in the Wireless Audio 360. Step 2. 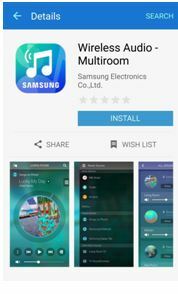 Download the Multiroom App on your smartphone. Depending on your mobile device’s operating system, you can install the app from Galaxy Apps, Google Play store or App Store. Step 3. Pair the app with your speaker. After you download and access the app, it will automatically prompt you to connect to a speaker. Select Connect Now. Once the speaker has been located, you will be prompted to enter your Wi-Fi password to connect the speaker to the network. When the connection is complete, you will be notified. Why get limited to your smartphone’s playlist? Tune into the V Tuner internet radio to listen to the latest hits, put on old tracks from your computer, or access your portable mp3 player to explore a different set of songs. With access to different music sources, you can listen to a wide variety of tracks on your speaker by using the app. With the help of the app’s wheel dial navigation, you can smoothly browse through your songs and select tracks that you want to listen to. You can even shuffle or repeat a song, add it to a playlist and mark it as a favourite. 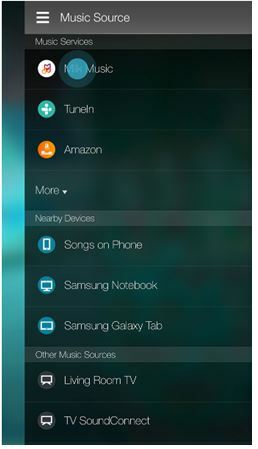 Moreover, by using a widget, you can quickly play or control your music from your smartphone’s home screen. You can connect to more than one speaker with the app. Tap on the speaker icon to open the All Speakers page. On this page, tap on the settings icon on the top right. Under Settings, select Add Speaker and the device will start searching for new speakers. 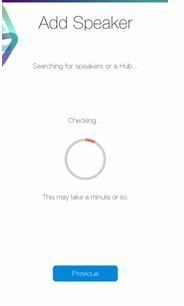 Once the speaker has been located, the app will prompt you to enter your Wi-Fi password. You will then be notified when the speaker has been fully connected. 1. In the app, tap on the speaker icon. 2. Under All Speakers, select the Group option for one of your multiroom speakers. 3. Then select the audio devices you want to group and tap on Done. Alternatively, you can play different songs on each of the speakers.